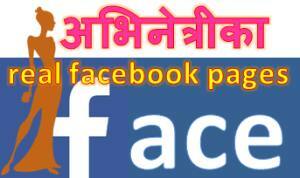 Like a lot of Nepali people, the World Cup 2014 of FIFA Football has affected Nepali actresses. We have compiled a list of actresses and their favorite teams. Miss Nepal 2011 and ‘Ritu’ actress, Malina Joshi is a fan of Brazil. Another actress, Keki Adhikari, is fan of Argentina. She had posted photo of herself wearing the jersey of her favorite team. Actress Garima Pant is also Argentina fan. Actress Richa Sharma is a fan of Germany fan. Model and item dancer Archana Dellala is a fan of Portugal team. 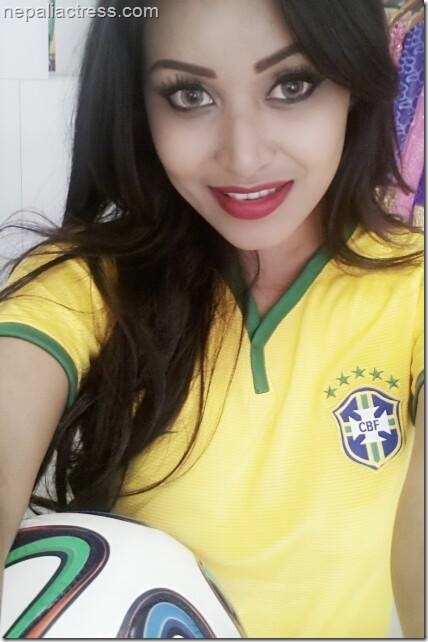 Comedy actress Deepa Shree Niraula is Brazil fan and she has also played football in her comedy serial ‘Tito Satya‘. Actress Khusbu Khadka is also an Argentina fan. Actress Karishma Manandhar doesn’t have a preference now. She will decide on her favorite team after watching the initial matches. 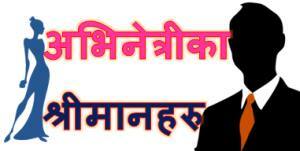 More on the craze of football on other artists in xnepali. 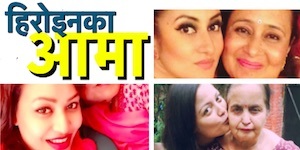 This entry was posted in Gossips, Uncategorized and tagged Archana Dellala, Deepa Shree Niraula, Football, Garima Pant, Karishma Manandhar, Keki Adhikari, Khusbu Khadka, Malina Joshi. Bookmark the permalink.